Remember Super Bowl XLVII a few years back? Even if you're not a football fan, you probably do. The Baltimore Ravens won, Beyoncé played the halftime show, and this awfully-emotive commercial debuted somewhere along the way. Maybe you don't remember any of that. But you probably remember this: the lights went out. 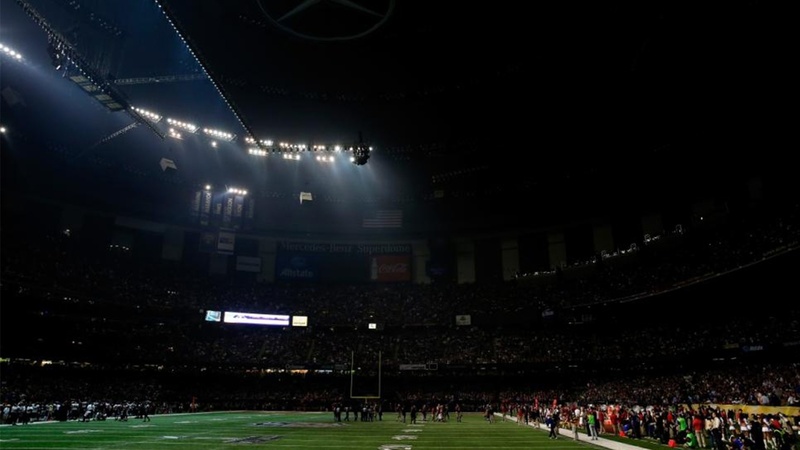 There was a power outage at the not-so-super Superdome in New Orleans, generators failed, and then there was darkness. With an estimated 108.4 million people watching, the broadcast got pretty awkward. Sound cut out in the booth and a phantom sideline reporter picked things up, updating viewers from the shadows as best he could. It wasn't too long before CBS got their technical difficulties sorted out, but the lights were a different story. Most stadiums are lit by the same lights the Superdome used –– sodium HIDs, which can take a lifetime to gain full luminosity, especially when 108 million people are waiting in suspense. And though power was restored to the Superdome within 10 minutes of the outage, the most important football game of the year was ultimately delayed by 34 minutes, thanks to the snail-like pace of HID warm-up time. Okay, enough with American football. Check out our retrofit at the Staples Center in Los Angeles. This soccer stadium in London –– Stamford Bridge, home to Chelsea Football Club –– recently switched over to LED lighting throughout their stadium and the results are, in a word, awesome. Not only could Chelsea quickly troubleshoot a Super Bowl XLVII-esque power outage with their impressive LED system, but they can turn lights on and off instantaneously, spotlight specific areas of the field, and easily host concerts and other events which require elaborate lighting displays. Stamford Bridge is certainly just one of the first of many stadiums which will look into a LED lighting retrofit in the coming years. Now, you may not be hosting the Super Bowl anytime soon, but if you're looking to update your lighting to LED –– whether for the purposes of energy savings, better lighting quality or otherwise –– we're here to help you figure it all out.